This was a post in one of the autism related Facebook (FB) support groups that I belong to. The FB group member that posted the question referenced above may have been distraught or maybe was just trying to stir up a little controversy. Everyone that is autistic has the right to their own emotions about being autistic, whether good or bad. Even parents have the right to their feelings when caring for an autistic child. 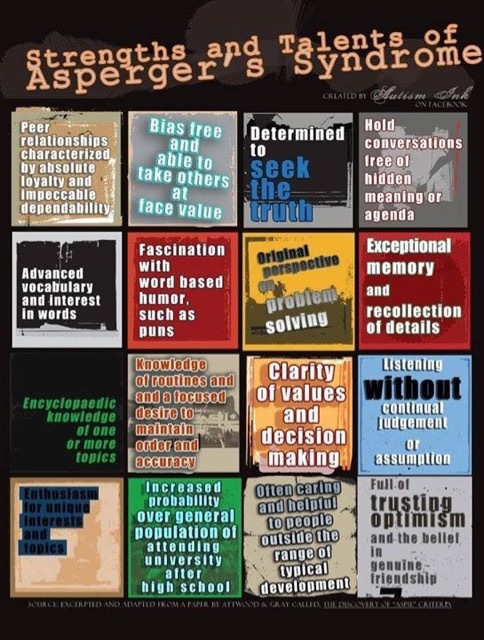 My personal list is long in the positive column, but my favorite three autistic traits are 1) my logical way of thinking and solving problems, 2) my innate need to be truthful, and 3) my sometimes over-the-top obsessive compulsive behavior (OCD). A couple of months ago, I figured out that my autistic comorbid autoimmune disease is not Multiple Sclerosis (MS) but a combination of two other ones that manifest similar symptoms, primary Lupus and secondary Sjogren’s Syndrome. I’ve already posted about this discovery so I’ll get to the point. And the point is that I am very thankful for my autistic comorbid OCD trait. Over the past two months, I have spent on average five (5) hours a day researching and learning everything possible about those “other” comorbid autoimmune diseases. I even started a new Facebook pseudo-blog titled ‘The Lupus Guy’. The answer is complicated but the simple part is the US medical system which I do take advantage of even though I live in Mexico. Recently I’ve posted a few times about being one’s own Patient Advocate on my Facebook pseudo-blog, ‘Autism from an autistic perspective’. I suspect that most regular individuals trust and rely on their doctor’s assessment and advice about their health. I used to but not anymore. It’s not that they don’t want to help their patients, it’s because they do not have the ‘time’ to sufficiently analyze and diagnose a complicated medical problem. The standard doctor’s appointment slot is twenty (20) minutes whether you are seeing your primary care physician or a medical specialist. That’s the new paradigm of the US medical system because medical care in the US is really expensive. The more patients that you move through the ‘medical office conveyor belt’, the better the chances are of breaking even in overall operating costs to run a medical practice or a hospital. If you (the patient) have a dozen symptoms that could be attributed to a variety of different illnesses, and those illnesses could relate to etiologies (causes) that are neurologic, rheumatic, cardiac, or dermatologic, do you think a really smart human being (doctor) could problem solve and diagnose that in twenty (20) minutes? However, the doctors have a workaround approach to mitigate the limited time allocated to arrive at a diagnostic conclusion, and it’s called a “Paraclinical Diagnosis”. In essence, the doctors in the US generally rely on lab reports, x-rays, MRI’s, and other diagnostic tools to do their job for them because they do not have the ‘time’ to sift through your medical history and conduct research for a differential diagnosis (a set of overlapping diseases that share similar symptoms). The old fashion technique was called a “Clinical Diagnosis”. If you’re old like me, you probably had a GP (General Practicioner) that managed your health from the time you were born until you left home. The old fashion GP doctor was trained and skilled in all sorts of medical areas, and usually spent the ‘time’ to figure out what was going on with their patient. Those days are gone and cheap lab reports are the “in thing”. Consequently, today’s modern doctor has learned how to be a really good interpreter of lab reports and a pseudo-expert in genetics. That’s their method for inserting a Diagnostic Code in your medical records in order to bill either your private insurance carrier or Medicare (US). As a result, I decided a long time ago to become a pseudo-doctor and my own personal Patient Advocate. It’s a lot of work but it’s been really interesting, and unfortunately really necessary. My obsession with learning everything possible about two complicated autoimmune diseases in a short timespan is directly related to me being autistic, period. Previous Previous post: Is it Lupus, Sjogren’s Syndrome or what? Next Next post: How long does it take you to get a doctor’s appointment?